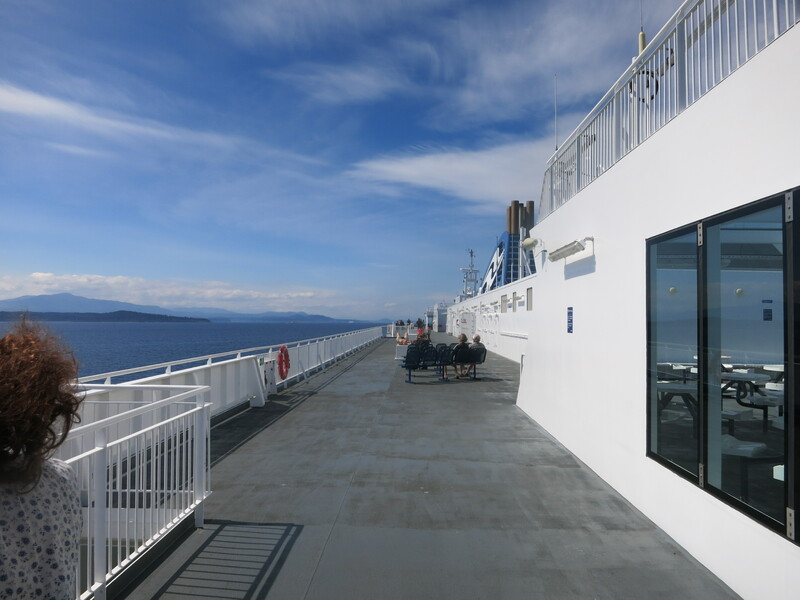 A trip to the “the island” always starts the same way; stepping onto the steel deck of the car floors is like that moment when your airplane taxis to the runway. Ship engines complain noisily, forced to patiently wait as passengers park their cars. The deck rumbles beneath your feet, faint whiffs of diesel mix with sea air as travellers make haste for the upper deck. With no turning back, you can sense relief as the dock fades and ocean engulfs the vessel. Airplane passengers uncurl their toes, breath easily, and stop pretending to read a magazine – ferry passengers head for the cafeteria. 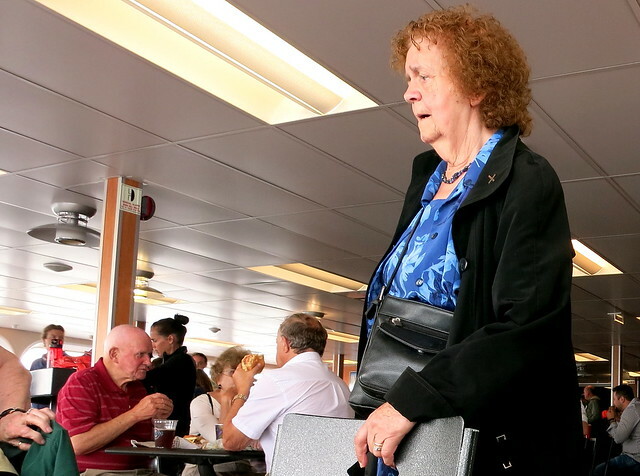 Hungry or not, eating on the ferry is mandatory. With 38 nautical miles, or 2 hours until “the island”, a trip to the over priced cafeteria gobbles up half an hour. 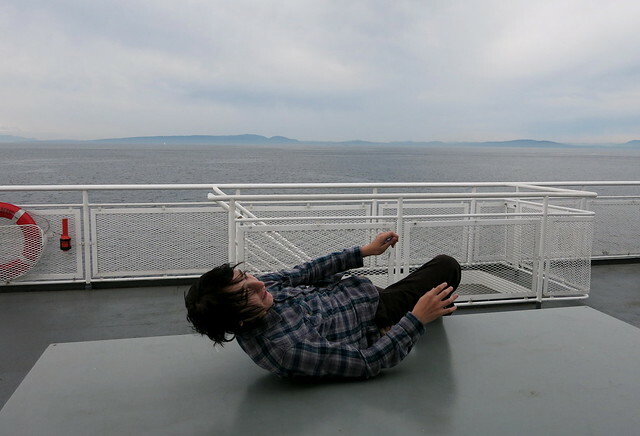 I usually lap the inner decks a few times – the gift shop with it’s local crafts, fridge magnets, and travel books; the wall of attractions and tourist pamphlets – without fail I stuff a handful of whale watching or promotional maps into my bag before heading to the outer deck. Even on a calm, sunny day stepping outside is a blustery proposition. 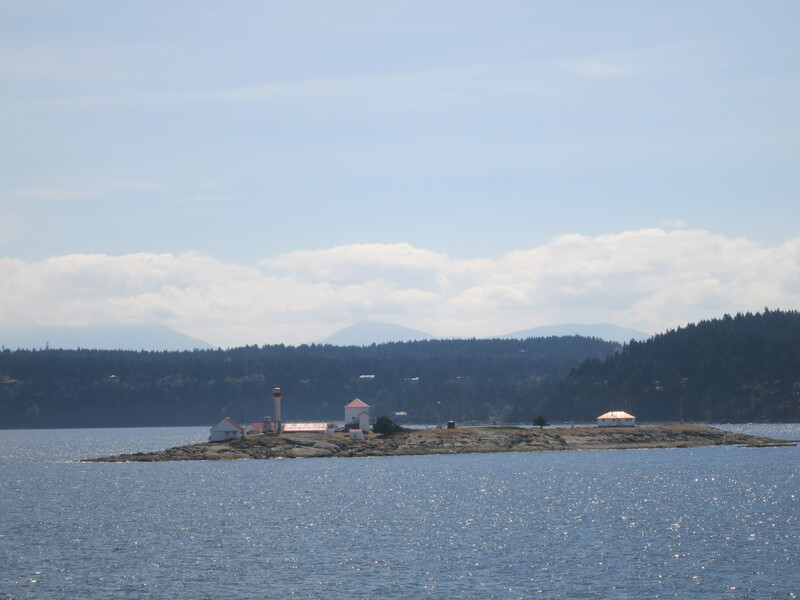 Passing the lighthouse is our cue to head for the bathroom one last time – the island is just a few minutes away. Despite making this trip too many times to count, I’m struck with the same impression driving away from the ferry. 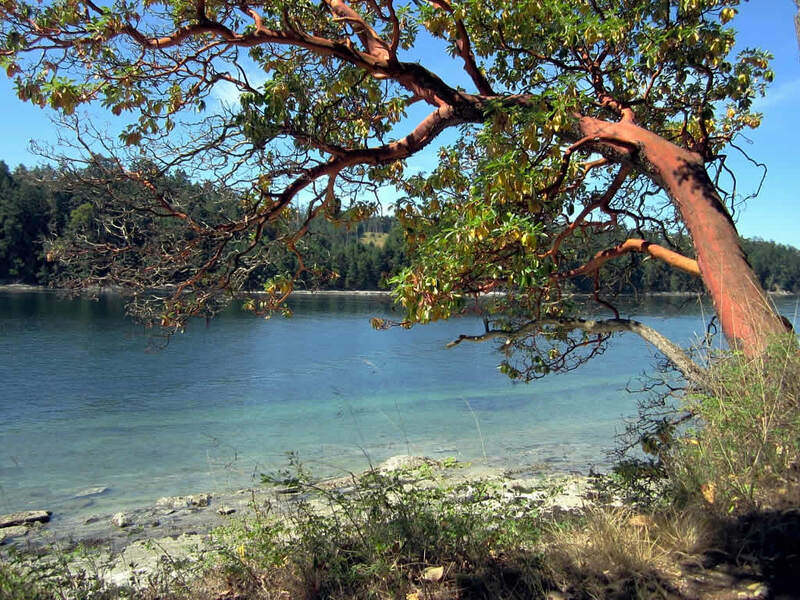 It’s as if I’ve fallen down a rabbit hole; vegetation is the same but slightly skewed, less rainfall, rockier, the highway lined with oddly twisted, pealing Arbutus trees. Nanaimo comes and goes as the road sways north towards the junction at Parksville. The 50 Km. 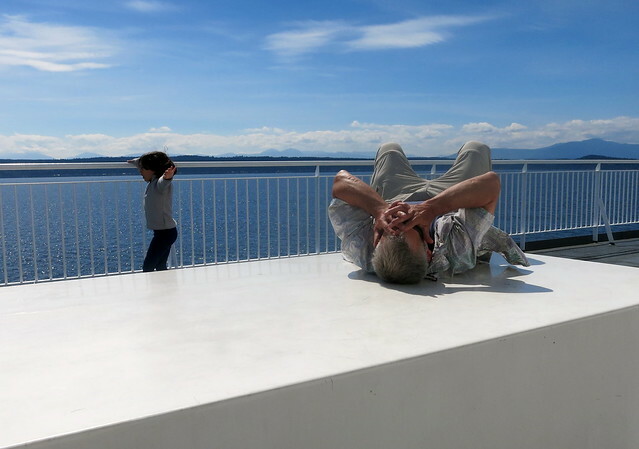 or so between the ferry and Parksville gives me time to adjust to my surroundings. Every few minutes a logging truck punctuates oncoming traffic. Parksville/Qualicum Beach, a tiny retirement town on the inner coast, is the junction for our turn to the east. Now travelling across the island for 45 Km. to Port Alberni at the tip of Alberni Inlet. The first few Km’s remarkable only for the industrial nature of businesses; auto wreckers, machine shops, a gravel pit – all without any obvious thought given to placement or planning. At Coombs, all that changes. The road leaves behind chaotic ramblings and climbs out of the valley, forest trades places with corrugated buildings; my heart beats a little faster as I know Cathedral Grove is moments away. Cathedral Grove, a Provincial Park protecting a tiny stand of old growth trees is magical. This place is the elusive elixir needed to restore our souls. Five minutes walking beneath these 800 year old treasures does more good than many 2 week vacations. Next stop Port Alberni; a lumber and fishing town struggling to survive. The lumber mill belches smoke as you descend along it’s steep streets to the inlet. Business after business closed, boarded up or for sale. Tomorrow I’ll continue the trip from Port Alberni to Tofino.